Less than three weeks after the last Whitechapel murder, Thomas Cutbush is committed to Broadmoor Asylum for savage attacks on young women. The arresting officer, intrigued by connections with the unsolved murders in the East End, starts to wonder whether he has, in fact, arrested Jack the Ripper himself. David Bullock lives in Berkshire with his wife and son. He has been researching the Ripper case for over twenty years and in 2013 appeared in the Channel 5 documentary Inside Broadmoor. David is a regular speaker on the subject and is also a contributor to the Whitechapel Society Journal. The Man who would be Jack is an incredible book. This is absolutely credible and totally believable. I actually think the author has solved this. Brilliantly written too. The detail in this book is fantastic,it is well worth a read and opens your mind and totally makes you question what you have heard before. Excellent- deserving of the brilliant reviews. Worth the read. An excellent read. Truly gives an insight as to how tough life was in the late 1800s. 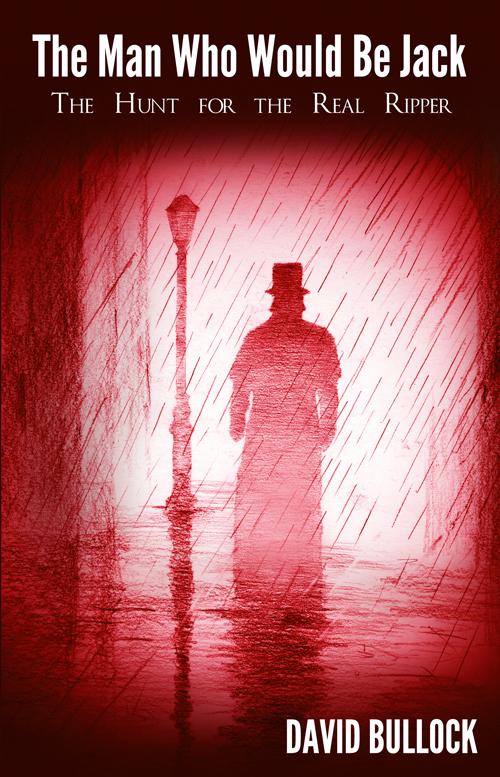 Compelling and by far the most credible book ever about the Ripper. The research and indisputable evidence that has been gathered by the author sets this account of JtR above any other. A well deserved winner in waiting. An awesome book, so very well researched. A very well researched and well written book. Excellent read. A fantastic gripping read with excellent researched content. An amazing read by an amazing author. Absolutely brilliant read and so convincing. Thank you David Bullock for bringing Thomas Cutbush aka Jack The Ripper very much in the frame! An extremely well written, immaculately researched and thought provoking novel.. If you like high quality historical readings then this is one not to miss. Very well written. One of those books you don’t want to put down. What a brilliant book. Very good insights and so much detail. Thoroughly good read. A real page turner …extremely well researched . Such a page turner! Absolutely gets my vote! Great book! Havent read the book yet but attended his talk at Eton College on the 25th July, absolutely fascinating and truly credible as the real Jack the Ripper brought about by extensive research and deduction! I heard David being interviewed on the radio… for a few minutes. Utterly compelling. What an amazing book. I’m my opinion this book is totally credible. I couldn’t put it down. A must read.